Treat your family with Chocolate Cake with happy birthday topper for your loved ones from GiftJaipur and make your special moments chocolaty. Chocolate is often termed as a key to happiness as it gives a sense of contentment to the individual who consumes it. 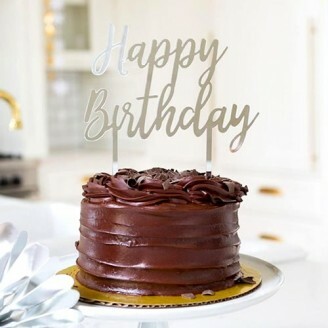 Deliver perfect chocolate cake with birthday topper quickly with same day and midnight delivery to add sweetness to every celebration. Tell your loved ones how much you love him/her. This cake makes a strong bond between you and your loved ones.